An Interview with Lauren Malherbe, a South African Online English Teacher. eTefl Online: Hi Lauren, thanks for agreeing to this interview. Tell us a bit about yourself and how you got started teaching English online. Hello everyone, my name is Lauren. I currently live in Johannesburg, South Africa. I grew up in Port Elizabeth and have been able to visit many different countries around the world. I have a BA (Media, Communications and Culture) degree with interests in design, languages and linguistics. I moved to Jhb to be with my husband and working online helped make that process a whole lot easier. No stress about job hunting or the Jozi traffic. When I started online teaching 5 years ago, many people, even family members were sceptical and doubtful of my situation. But I was determined to do this and to show how wonderful online teaching is. Take the leap, you won’t look back. My sister and friend had just come back for the holidays, from teaching in South Korea. I often enjoyed their wonderful stories about their travels, people they met and of course the children and people whom they’d taught. They told me that a few teachers were doing training courses online and this sparked my interest. As this was becoming the way of the future. Moving from classrooms to online in the comfort of your own home. I was curious to try this too. I completed my TEFL course and a wonderful Taiwanese company called ‘DMA 1on1’ had faith in me to teach their students. The journey began. And what a splendid one it was. After that, I worked for a Russian company, ‘Skype Studies’ and now I’m currently with a Chinese company. There are thousands of online schools out there and you’ll find the right one for you. I look back on my beginning days with fondness and see how I’ve grown. I’m grateful to the companies that gave me a chance, the experience and knowledge I’ve gained, as well as my ideas for this industry in the future. eTefl Online: Can you walk us through a typical day for you? A typical day is very similar to that of a normal workday. Get up, shower, eat, get ready for work. If you don’t need a webcam for your company, then you can literally stay in your PJs for the day! My company needs video, as I work with children, so suitable clothing is stipulated. Some companies require all staff to wear a plain white shirt or for example, an ‘orange T-shirt’ if that’s their brand colours. Some prefer a plain white background or something non-distracting (curtains or a poor background). Again, it all depends on your company. You don’t need to buy fancy branded clothing, just look neat and presentable if using a webcam. My company allows us to open and close timeslots throughout the day. I’m fortunate enough to work fulltime, Monday-Friday from 8am-5pm. I can also choose to work weekends too –more work, more pay. Allow yourself 2 breaks minimum within the day to eat and have a break to recharge. It’s great as I don’t have to waste time driving to work in the traffic or on expensive petrol costs each month. Again, each company is different. Some offer full time and others part-time (during their peak times.) Choose what suits you, your family and your lifestyle best. The possibilities are truly endless. eTefl Online: Why do you think someone should consider teaching English online? It is truly an adventure! The world of Online Teaching opens many doors and possibilities, allowing for exciting opportunities along the way. Many aspects of the workplace are changing to digital/ online forms. Therefore this is a way of the future. And teaching, I feel, is something that incorporates a passion for great change. A chance to change someone else’s life and to enrich minds. I’m so happy to be sharing this with you! I want to be open and honest and to show others that online teaching is definitely possible and a way to change your life, career path, and financial situation. It allows you to not only earn dollars (or pounds) but to help others, find purpose in your work and the option to work and travel. How incredible is that! 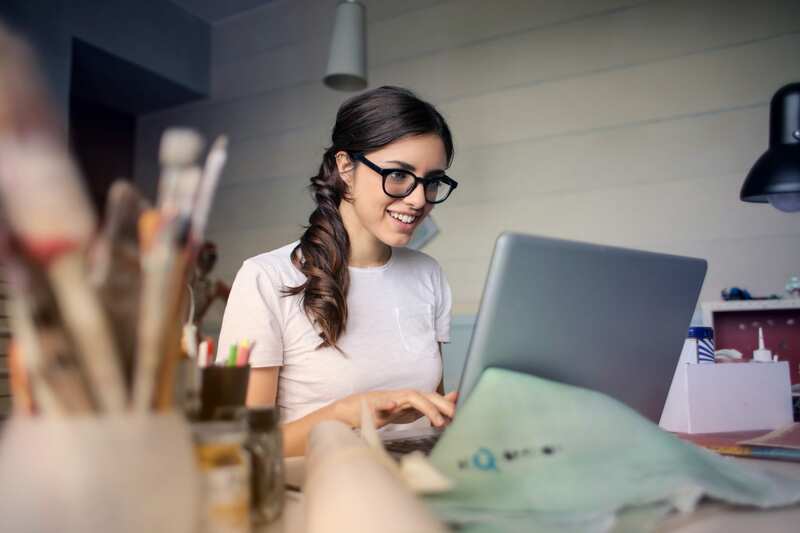 Where ever you have a good internet connection and preferred quiet space to work, you are able to do this –perfect for a career change, stay at home parents, people moving to a new city (like myself), emigrating and having to look for a new job. Or my favourite –being able to travel and earn money. eTefl Online: What would you say are the advantages and disadvantages of teaching English online? The advantages of Online Teaching outweigh the disadvantages. I don’t even want to call them disadvantages. More of “things to be realistic about”. 1) ‘Cabin fever.’ You need to be self-disciplined and be able to work on your own, whether at home or in a quiet environment. Being prompt is important too. See this as clients that you have to work with at specific times. Some companies offer employees to work on their premises, then you will have staff around you all day. But most online teachers work from home or anywhere abroad, in a quiet room/space. So it’s important at the end of the day to go and get some fresh air outside or to include a hobby or sport during the week. Like most regular jobs require. 2) Power failures. Again, this isn’t the career disadvantage. But try to have a small generator or inverter in case of power failures or load-shedding. I have an inverter to power my laptop, modem and desk lamp. Nothing fancy, but efficient. Advantages – there are so many! Over the past few years, I have found great joy in helping my younger students and this too has helped me to pursue a deeper interest in the fields of speech therapy and linguistics. You too shall discover your favourite part of Online Teaching and see how rewarding it can be. And it’s fun! The friendships you make. It’s as if you become part of your student’s family. You create a great bond with them and get to know each one individually. You become of great importance to their lives too. I’ve even been invited to a wedding, family holidays and was a guest online judge for some national English competitions. eTefl Online: What practical or technical advice can you give people who are interested in teaching online? 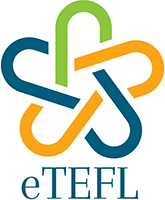 It’s highly important to get an accredited TEFL course, like eTefl Online. This makes your application process so much smoother and they offer great support and teaching knowledge. Most companies require you to have a webcam, but some even allow you to teach from your mobile phone, if you are using the company’s own e-class platform and not Skype or QQ.) Again, thousands of companies out there with the requirements that will suit you best. That’s the best part. You can find what suits you best! eTefl Online: Any final thoughts for our readers? I can honestly say that this is one of the most rewarding jobs in terms of seeing progress and how you have helped people and children. Yes, you are doing a job and earning money from others, but it is so much more than that. To see your student’s progress and receive written compliments and feedback from them shows what a difference you have made in their lives. Remember, with your help and dedication, many students are able to advance in their school, work environment and ultimately some big life decisions, such as university admittance, immigration or a new job for them. Your work is valued. You are valued. eTefl Online: Thank you, Lauren. I have enjoyed the interview tremendously. I am strongly considering the TEFL course. Sounds very interesting. Possibly by the end of August 2018. Do keep me posted. Thanks for your email. I”m interested in that course. I am very interested in the course. I wonder what is the average income for on-line teachers. Hi Stella, the pay varies from company to company but you can earn between $10 and $20/hour or even more depending on your qualifications and experience. Hi, Can you please explain payments. Do I have to set up a Paypal account? Hello Tasmin, no you don’t have to work those hours. You can if you want to but peak Chinese hours in South Africa is from 12-3pm in SA. Most of the online schools are based in Asia, China in particular, so you can plan around Beijing hours. Hi Tasmin, You don’t require a degree to take the TEFL course but not having one is going to make it more difficult to get a teaching position with an online school. There are schools that don’t require a degree and you still have the option of working as a freelance teacher or even starting your own business. So you have options open to you.